Muse are to release their second single from the number 1 album 'Absolution' on the 1st of December. 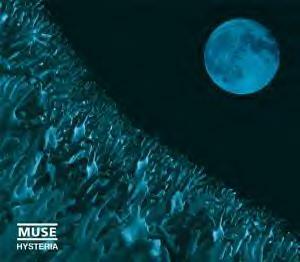 The track is 'Hysteria', one of the strongest tracks on the album. It will come in 3 formats, CD, DVD and 7". First and foremost we want to say a big thank you to everyone for taking the time and effort to send in your sleeve designs. We've gone through them all (well over 500 entries) and have been hugely impressed with the quality and needless to say picking a winner was not easy. We've decided to include some runners up images on the DVD single. These are in no particular order we just wanted to show the scope of the entries submitted.